For adults with ADHD, problems with attention, planning, problem solving, and controlling emotions can make daily life an uphill battle. Fortunately, effective help is out there. No one is a better guide to how to get the best care--and what sufferers can do for themselves--than renowned ADHD researcher/clinician Russell A. Barkley. Dr. Barkley provides step-by-step strategies for managing symptoms and reducing their harmful impact. Readers get hands-on self-assessment tools and skills-building exercises, plus clear answers to frequently asked questions about medications and other treatments. Specific techniques are presented for overcoming challenges in critical areas where people with the disorder often struggle--work, finances, relationships, and more. 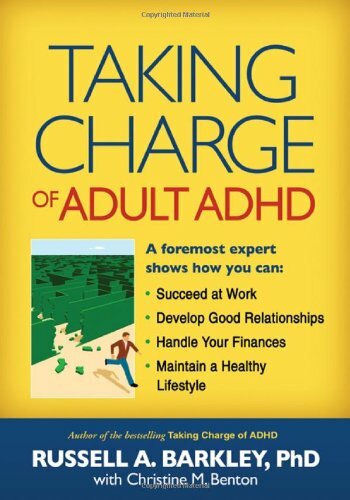 Finally, an authoritative one-stop resource for adults with ADHD who are ready to take back their lives. Used Very Good (1 available) 1606233386 Clearing Inventory! Book has minor flaw, like bent or scratched cover. Total Satisfaction Guaranteed. Quick Handling. We work every day but Sunday. Standard delivery takes 4-14 business days. Please note: Shipping may take longer if you live in Hawaii or Alaska, Puerto Rico or Guam. YOUR SATISFACTION GUARANTEED!